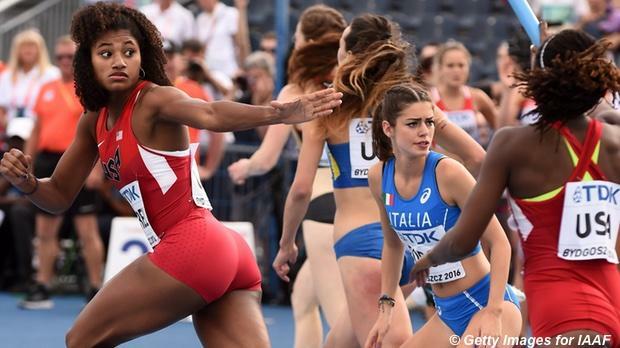 The action from the IAAF World U20 Championships in Bydgoszcz, Poland may be over, but the memories live on. View full results and coverage here, and scroll through the slideshow for Jojo's selection of the top 11 most exciting moments for Team USA. Pictured: 400m world silver medalist Lynna Irby hands off to 400m hurdles champion Anna Cockrell in the 4x400m relay final, which Team USA would go on to win over Jamaica, 3:29.11 to 3:31.01.